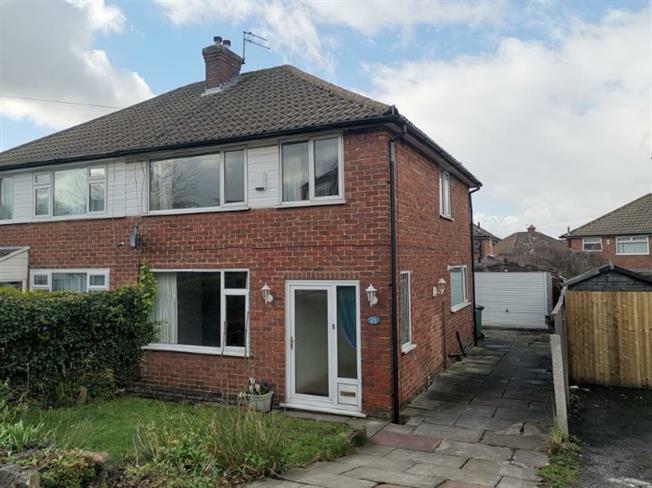 This well presented three bedroom semi detached property will appeal to first time buyers or young families looking for well presented property set in a popular location. The property has the added benefit of under floor heating throughout and is an ideal blank canvas for anyone wishing to 'add their own stamp'. In brief the property comprises entrance hall, living room with space to dine, kitchen, two double bedrooms, a further single bedroom and bathroom. To the rear of the property is a garden laid mostly to lawn with single detached garage and driveway providing parking. Double glazed uPVC window facing the front. Underfloor heating, wall lights and ceiling light. UPVC double glazed door, opening onto the garden. Double glazed uPVC window facing the side. Radiator, ceiling light. Wall and base units, stainless steel sink, electric oven, electric hob, over hob extractor. Double glazed uPVC window facing the rear overlooking the garden. Laminate flooring, ceiling light. Double glazed uPVC window facing the front. Built-in storage cupboard, ceiling light. Bath, low level WC, Hand wash basin. Double glazed window to rear.